When it comes to our outdoor equipment one of the items that gets used a lot if you do much camping and backpacking is the cook stove. If you plan to hit the best campsites in the US, you need a good stove. Now there are many varieties, brands, designs, and even fuel types when it comes to camp stoves, and like most things, there are also plenty of opinions on which is the best and why. In this article, we are going to look at the top four best gas camping stoves. We will take a look at each one and discuss why it has earned its place in the top four. We will also look at what is different about each stove, and how those differences apply to you. If you are looking for a larger stove meant for cooking for a group, check out our article. Which fuel source is the best? What if I want to use it for a group? Can you measure the gas in a fuel canister? How long can I expect my new stove to last? Should I “break in” my new stove before use? Are fuel canisters from each company different? 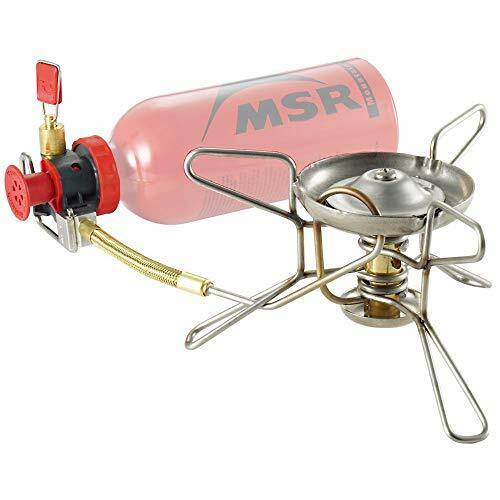 For over 20 years now the MSR WhisperLite stove has been in hard service all around the world. Campers, hikers, adventurers, climbers, and even scientific expeditions have all used the WhisperLite in just about every condition imaginable on planet earth. 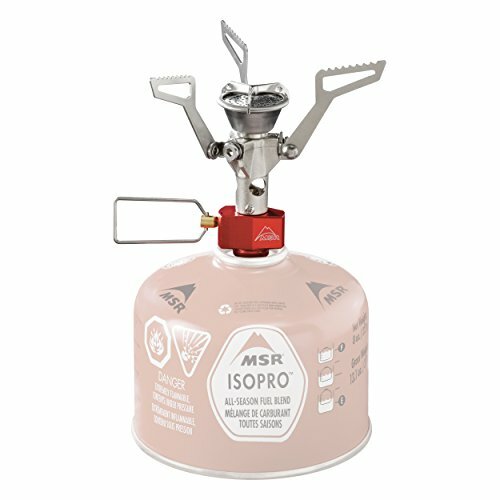 While MSR has certainly earned their reputation for producing reliable gear, their WhisperLite stove has taken that reputation even further. The WhisperLite features a simple, durable, and compact design that runs on white gas. There are versions available (International and Universal) that will allow you to use different liquid fuels and even canister fuel. The stove is self-cleaning using “Shaker Jet” technology and is very simple to set up and take down. The stove is also field maintainable. One of the main draws to this particular stove is that it has the ability to cook more volume than a lot of the other stoves on the market but is still lightweight and small. You can easily cook for two to three people on the WhisperLite, where that would not be possible with the Pocket Rocket 2 listed later in this article. The WhisperLite is an easy choice as the number one spot due to its impressive length of service, proven reliability, and straightforward and simple design. Jetboil is a company that has been around for a while and has gained a lot of attention from backpackers and campers. Jetboil primarily focuses on the production of hot water for cooking dehydrated food but can also be used for other types of cooking as well. Jetboil’s newest system, the Jetboil Flash, is their fastest heating stove to date, claiming it will boil water is as little as 100 seconds. The Flash is a cooking system and includes a 1-liter cup that attaches to the stove to boil water in, which Jetboil calls a FluxRing Cooking Cup. The cup features a neoprene cover to allow you to handle the hot cup without getting burned, a color-changing heat indicator so you can monitor the stove while multitasking, a bottom covers that you can use as a bowl and has markings for use as a measuring cup. The stove itself features a push button igniter which allows for easy lighting, and using canister fuel, making set up a breeze. The entire cooking system also stores inside of the cup, including a 100g fuel canister. The Jetboil is a fantastic system if all you need to do it boil water. The system is designed around one person, making its use for a group much more difficult. 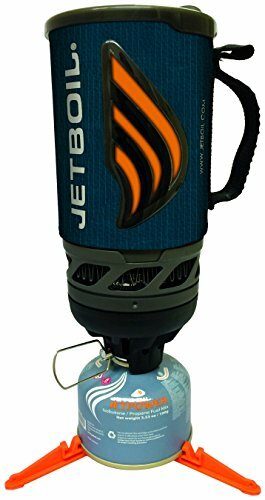 Jetboil does offer a comprehensive list of accessories such as French press coffee accessories and other things to make camp life a little easier. They also offer multiple styles of cups, which may suit your needs better. Number three on our list is another stove from MSR. The Pocket Rocket 2 is a tiny stove that bags a big punch. Favored by backpackers for its very small (2 x 2 x 3 inch) size and its ultralight (2.6 ounces) weight. This folding canister stove is so small and lightweight, a lot of hikers carry it as a backup stove on long multi-day hikes since its weight and profile is hardly noticed by most. The Pocket Rocket 2 as the name implies is a re-work of the original Pocket Rocket which while very successful, had some issues with fuel feeding consistency and was prone to blowing out in the wind. The 2.0 version has eliminated those problems to become an impressive all-around stove. The Pocket Rocket 2 passes the standard one-liter boil test in 3.5 minutes, which places it near the top of the list for boil times. It also sports a healthy fuel efficiency, which is very welcomed when using canister fuel. The stove attaches effortlessly and can be set up and running with zero prep and in less than a minute. If you are worried about weight or space and still want a robust and reliable stove, the Pocket Rocket 2 would be your best choice. 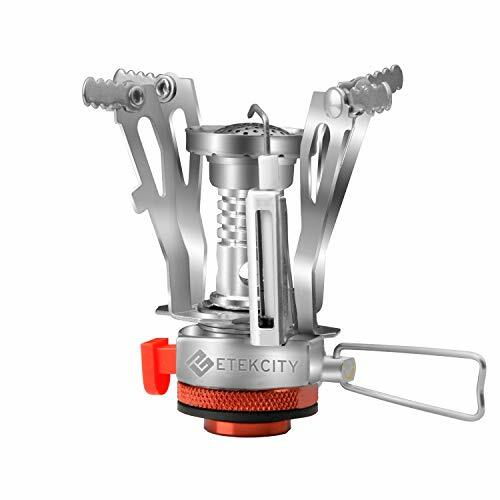 The Etekcity Ultralight Camping Stove is an integrated canister stove made by Etekcity. Etekcity is one of the newer brands on the market but has been able to garner a massive following among outdoor enthusiasts for what most people say is high-quality equipment for very affordable prices. The Ultralight Camping Stove is the cornerstone product currently on the market. This small stove is made from aluminum alloy and stainless steel. It is very small, comparable to the MSR Pocket Rocket 2 and is only 2.6 ounces. The stove measures 4.8 x 4.8x 3.6 inches open and collapses down to 2 x 2 x 3 inches. It uses any standard (7/16″) mixed fuel canisters and comes with a one-year warranty. The stove comes with a carrying case. If you are looking for a camping stove and need to stay under a budget, this stove is worth checking out. With the thousands of hikers and other outdoorsmen that have tried it and gave it high remarks, it hard to imagine you could go wrong with this one. When it comes to buying a camping stove so much of the decisions comes down to personal opinions that it is hard to recommend one for someone, or another one for someone else. All four of the stoves listed here are rock solid and will perform very well for many years. They all have their pros and cons, and for some people, some pros may be cons and vice versa. The important thing is to research your stove well and make sure you understand the operational instructions well and know how to estimate your fuel consumption accurately. It is worth noting that most hikers who are unhappy with the performance of a stove, is often either overloading the capacity of the stove or not providing it with the proper amounts of fuel. This comes down to the individual’s comfort level with the different fuels — beginners and people that want super easy setup, and simple operation are going to be more towards the canister fuel stoves. Fuel canisters are as simple as it gets. You screw the stove onto the canister, use your stove, and then unscrew the canister. They are simple, safe, and effective. However, they do not come without the downsides. Fuel canisters cannot be refilled. Once you use them up, they are trash, and you have to buy a new canister. Until recently they were not recyclable, and while they are now, there will still be many places that will not accept them for some time. Another common complaint about fuel canister is that it is difficult to know how much fuel you have remaining. Most manufacturer’s instructions have you filling a pot with water and suspending the canister in the water to measure how deep it sinks into the water. This will tell you approximately how much fuel is left in the canister. With liquid fuels, you can simply just look at it. Liquid fuel is more complicated. You must fill a fuel bottle from the large jug you buy it in. That bottle is then connected to the stove. 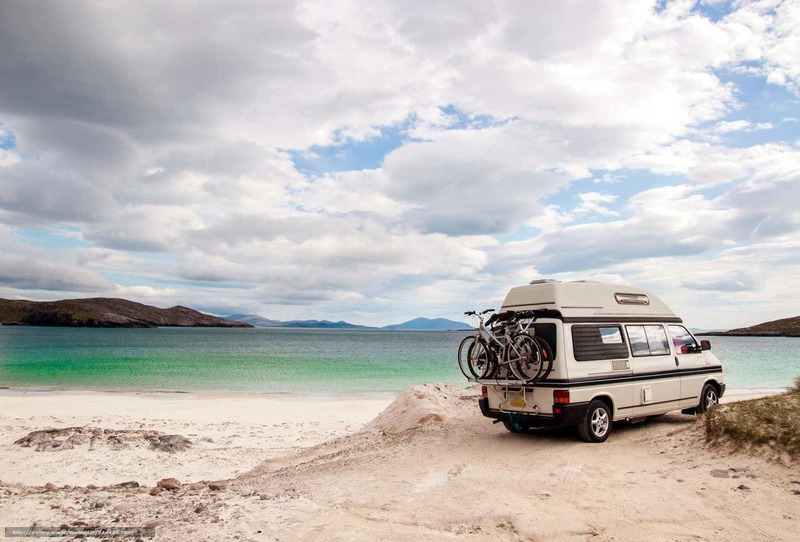 Most applications and situations you will have to disconnect the fuel bottle and stow the stove. This extra step can be a hassle for some. The fuel bottles are also not pressurized, so most stoves you will have to pump air pressure into the bottle. If the pressure drops while you are cooking, then you stove can flame out. Other than being able to see how much fuel you have left visually; liquid fuel does have some other advantages. With liquid fuel, you can use the fuel for other things, such as starting a fire in wet, damp areas or as fuel in your Zippo lighter. If you are planning on using the stove for a group, the best choice would be the MSR Whisperlite. The larger base allows for a larger pot. The stove can produce plenty of power, allowing you to cook for more than one. While some people will use a bigger pot with the smaller stoves, the stoves just do not produce enough heat to cook efficiently. Yes. Each manufacturer has slight variations to the process or what the measurements mean, but you can suspend the canister in water to test how much fuel is left. With basic maintenance and cleaning, your new stove will last a very long time. There are countless testimonials, from people who have owned their WhisperLite stoves for 25+ years and they are still operational. The fact is that there is little to no wear when using one of these stoves, so they last a very long time if cared for. Yes. Most people will recommend that you burn your stove several times before taking it on a hiking trip with you. This is to make sure that the regulators and valves are working properly and that the stove will perform as expected. It also allows you to get more familiar with the stove and how to operate it before adding the stress of being on a hike in the woods. Yes and No. For the purpose of working in your stove, they are all the same. However, each company that manufactures fuel canisters claims to have a proprietary blend that works best in their stove. While this may be true, hikers have been mixing stoves and fuel canisters for years, and they all work just fine. It is still a good idea to run a test boil before you leave on a trip. Especially, if you are going to be using a new brand of canister.